Cell Phone Health Effects :Is Using Your Cell Phone Making You Ill? Cell phone health effects have become more of a concern as we become more tethered to the technology that keeps us in touch with friends and family worldwide. We use mobile phones to make calls, check email, and surf the net. Understanding what the concerns are and taking precautions will allow you to determine what’s best when using the beautiful obsession that has become most necessary for keeping you connected: your cell phone. The radio frequencies that enable cell phones to operate is what raises suspicion among some cell phone users. Specifically, how much exposure to the frequencies you may be exposed to while using your phone. When you place or receive a call, the area you are located in has dedicated cell towers that dispatch and receive radio waves. It is these waves being absorbed by the body, most specifically the head area causing most of the uproar about cell phone health effects. Cancer and bran tumors are the largest elephants in the room, but headaches, dizziness, and memory loss are all valid concerns. Fertility issues also loom large, especially for men, who tend to carry their phones in their pockets. Cell phone health effects are so controversial, some states are considering placing cancer-warning labels on cell phones as a precaution. 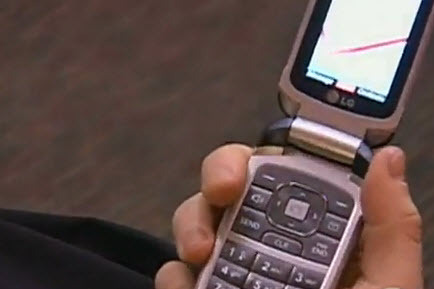 The next cell phone you purchase may have a listing of how much radiation you could absorb by using a specific phone. Research shows a link to cancer in lab animals, but the exposure to cell phone radiation is of a much more extended rate than the average human would use the phone, at practically 24 hours. Most of us are not going to have a cell phone at our ears or in our pocket for 24 long hours. The American Cancer Society is not ready to declare cell phones a major health hazard and in fact most of us are not ready to let go of that piece of us that has become an extra appendage. Curbing our extra usage is an option we could consider. The FCC makes it known that phones sold in the United States are safe, but it is up to the consumer to decide whether using a mobile phone is worth overriding the anxiety concerning cell phone health effects.